A few weeks ago a friend of mine asked me what it is that Catholics find hardest to believe. To him as an outsider there seemed so much that we accept on faith, and so much of it seems to strain credulity. What is it that Catholics find most difficult to accept? I thought for a moment, and I offered this qualifier. People find belief a challenge, not because the proposition seems preposterous, but for fear of the impact it could have on their lives. And then I listed some things that the general run of the population seems to accept, just to point out that Catholics aren’t the only ones who go out on a limb in their willingness to believe. First off, people seem willing to believe most anything they read on the internet. Despite the fact that there’s so much junk, mistakes, outright lies and the like, people still believe and quote stuff from the internet as if it’s the gospel. Then there’s the lottery. On any given day millions of people will plunk down hard-earned money, in the absurd belief that they have a chance to win the lottery. Mathematically there is indeed a chance to win the powerball jackpot, but the surer bet would be to invest the money in a business or put it in a bank. But human behavior defies logic, and that’s the way it is. This skepticism about God’s plans for us has practical implications. First, it lets us off the hook from taking any initiative. It lets God be God, but it reserves to us the right to run our own lives. At most God gets an hour a week, but the rest of the week belongs to us. After all, what could God possibly want from us anyway? Secondly, if God had something important for us to do, God would tell us up front. We’d have gotten a formal announcement by now, leaving us in no doubt about the divine plan for us. But God seems not to do that. This brings us full circle in the issue of faith. Why is it so easy to profess our belief in God in the Creed, but in the next breath it’s so difficult to confess that God has something in mind for us to do with our lives? Can it really be true that we are not important? Can we excuse ourselves because God has not yelled some personal invitation into our right ear? A few years ago I was struck by an advertising blitz that urged people to get the Mercedes that they deserved. I smiled, because I wasn’t all that sure that I deserved a Mercedes in the first place. But I also knew there was a catch. All I had to do to get the Mercedes I deserved was to give the Mercedes people the money they thought they deserved. It was as simple as that. God doesn’t work that way. God is not trying to sell us something. Rather, God merely wants us to open our eyes to our potential. God wants us to make the most of our talents. God wants to awaken within us the possibility that there is something really important for us to do. And the task of self-discovery is too important to reserve to one hour a week. Self-discovery is a daily business, done systematically throughout our lives. Given all that, why is it so hard to believe that God has blessed us in so many ways? Why is it so tough to believe that God has something uniquely important for us to do? We’ll never know, unless we put our minds to it, today and every day. 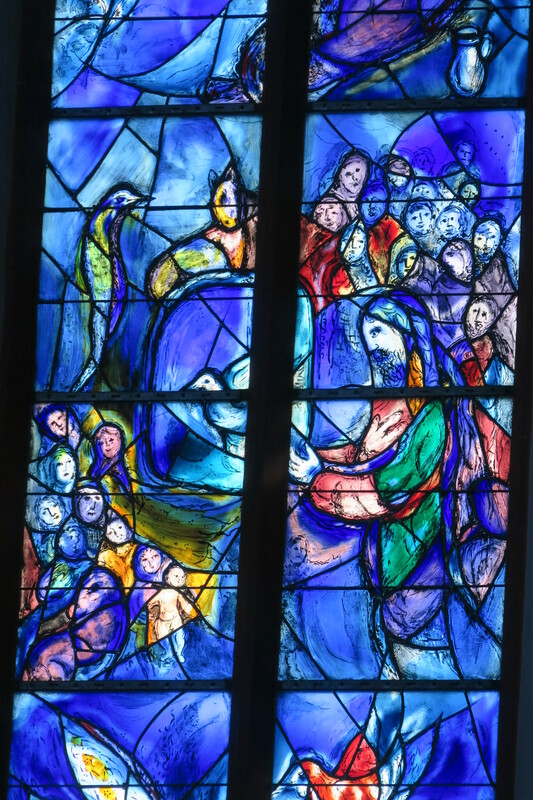 +Today’s post is an excerpt from a sermon that I gave at Saint John’s Abbey on 14 January 2018. 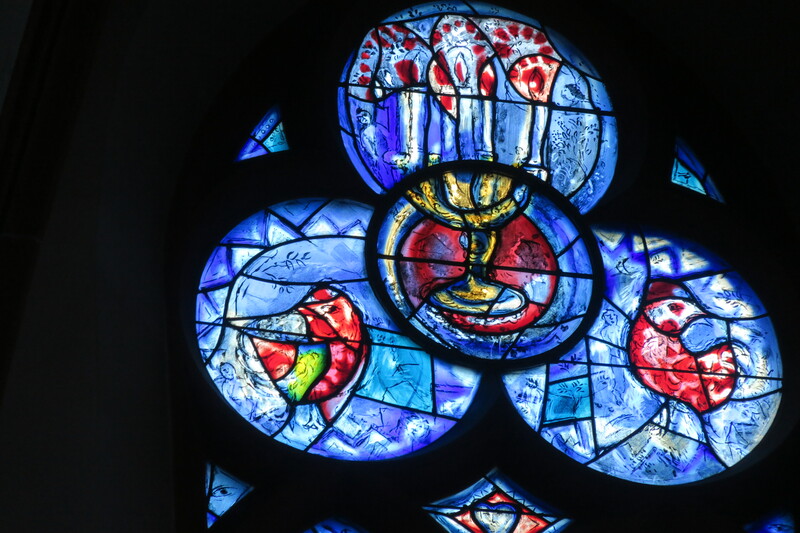 Is it fair to recycle a sermon or essay into this blog? There’s a part of me that says each post on my blog should be unique. Then there’s the practical side in me that says there are only so many hours in a day and days in a week. So if it was good enough for one audience, perhaps it might be of use to another. And it has saved me a lot of work every now and again! +On 26 January I presided at the Abbey Eucharist. +There are always way too many things going on at Saint John’s, and I cannot take advantage of all the things I would like to. This week, for example, I would have enjoyed going to the lecture by Rep. Tom Emmer, who represents our district in Congress. His visit was sponsored by the McCarthy Center at Saint John’s, and Congressman Emmer’s remarks were entitled “An Assessment of the Trump Administration at the End of the First Year.” I’m sure it was a lively evening, and I was sorry to miss it. +On 28 January our confrere, Fr. Bob Koopmann, gave a piano recital in the Stephen B. Humphrey Auditorium at Saint John’s. +The photos in today’s post are from the church of St. Stephen in Mainz, Germany. Founded in 990 by the Emperor Otto III, it has gone through many changes over the centuries. 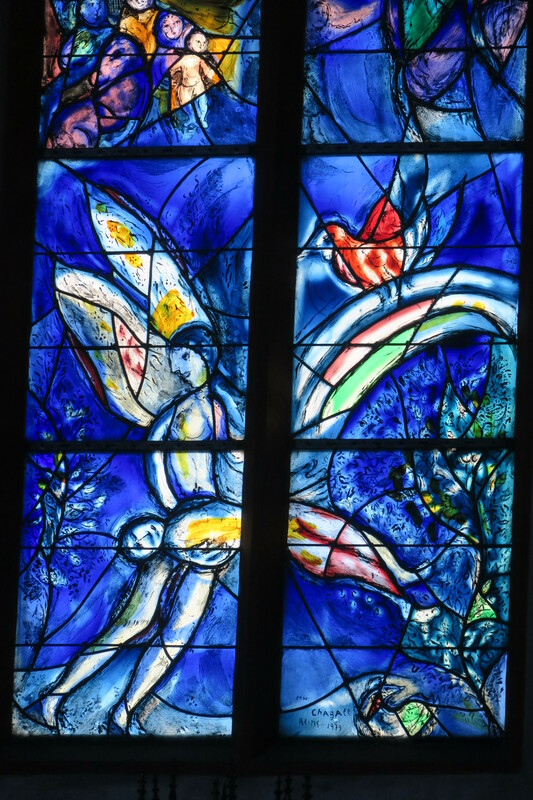 Most notable today are the stunning glass windows by Marc Chagall, which alone are enough to merit a trip to the church. 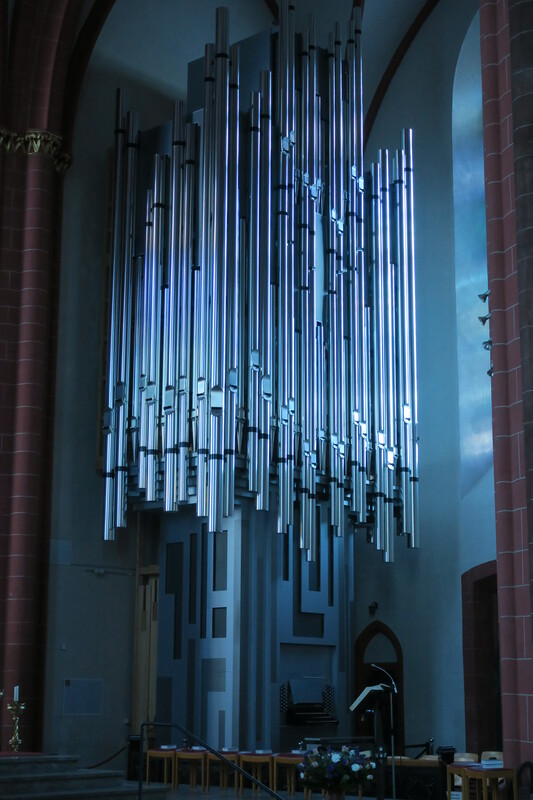 I also found the arrangement of the pipes for the organ to be stunning. 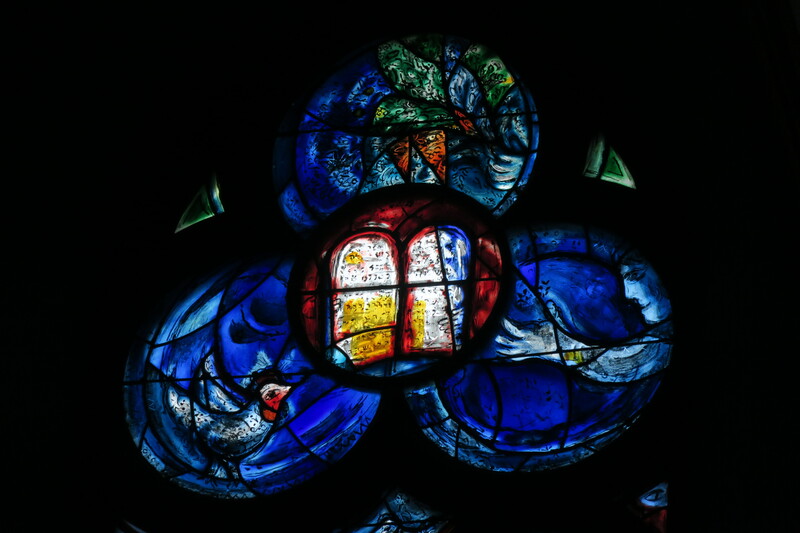 The bluish tint is the result of the light from the stained glade. Click on the photos to enlarge them.